This afternoon, we attended an impromptu birthday lunch for our nephew. Since members of his immediate family were in the area, we scrapped our regular lazy Sunday plans and we celebrated his soon-to-be 17th birthday. For the record, he's the same nephew who asked me if I attended a game at New York's Polo Grounds. For lunch, we stopped by Russell's in Elmwood Park. This place is a local institution. Both my family and my wife's family have dined there for decades. I cannot even estimate the number of times I've dined there since I started this never-ending Team Game quest. For some reason, the silly vending machines caught my eye this afternoon. Here's my dilemma. 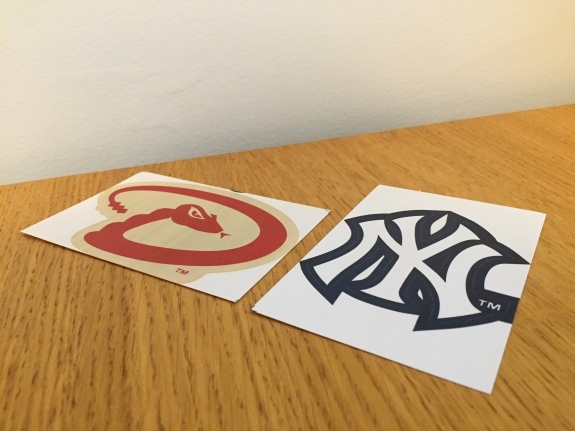 Stepping into the restaurant, I needed three more team logos: Arizona Diamondbacks, Colorado Rockies and Seattle Mariners. When we attended our last regular season game at Milwaukee's Miller Park, a woman sitting near us had several baseball pins on her purse. She had a pin for Coors Field, but it did not incorporate the Rockies logo into the design. When the game ended, she picked up her bag and left. As she headed up the steps, we noticed a Mariners logo, but we were not quick enough to grab a photo. 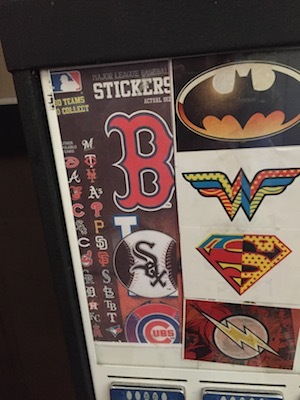 So when I noticed the vending machine with all 30 MLB logos, I grabbed a photo. That photo could suffice for all three remaining logos, but that felt somewhat like cheating. So after dinner, I grabbed four quarters that were in our car and hoped for the best. 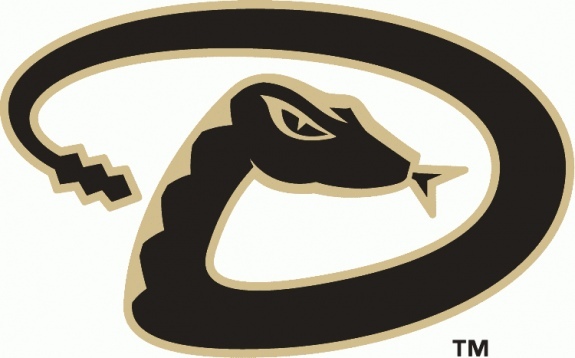 With the first 50 cents -- boom, the Arizona Diamondbacks! With the second 50 cents -- the New York Yankees. I already had them. Now there are two teams remaining: Colorado Rockies and Seattle Mariners.